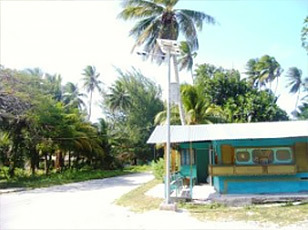 In 2008, the Majuro Atoll Local Government was awarded a grant from the Indian Government as part of the Regional Assistance Initiative. This grant has provided the revenue for supply of 20 solar powered street lights, 16 solar powered traffic lights and 30 solar powered warning lights. The Island Eco Company has supplied the lighting hardware and installation around the Island was completed in January 2010. Each solar street light is a standalone unit consisting of solar panel, battery and electronics for the safe and reliable control and operation of the LED lights. 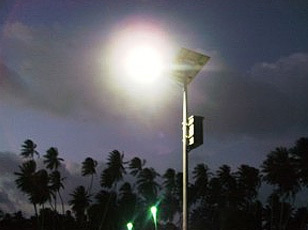 The solar street lights have sensors capable of detecting ambient light levels and generate light accordingly. Power from the solar panel is applied to the batteries and regulated by a charge controller. Sufficient charge is stored in the batteries to run the street lights for three whole nights without additional charge from the sun during the day. 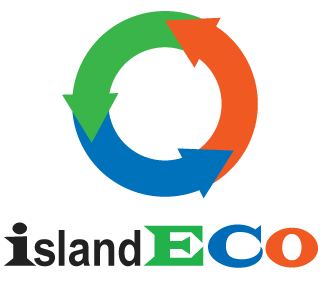 Island Eco has also provided 16 solar powered traffic lights for intersections and 30 solar powered warning lights. These warning lights are installed at curves or other hazardous sections of the main road that runs thru Majuro Atoll, particularly outside the urban areas.